The WFAmT has arranged exclusive preferential rates at the following hotels. 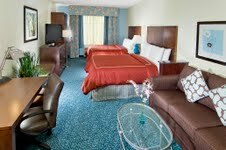 We are supplying these SUITES for our players that are traveling long distances to participate in our events. Travel with a friend or two and spend a week competing on Tour quality venues, while still taking advantage of our great payouts! To take advantage of these drastically reduced rates please be sure to quote the 'West Florida Golf Tour Corporate Rate' when making a reservation. 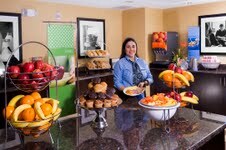 The Comfort Suites® University Park/Sarasota hotel is conveniently located in University Town Center, off Interstate 75. 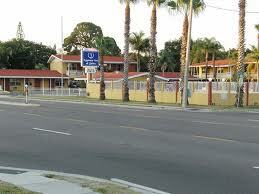 The hotel is six miles from the Sarasota Bradenton International Airport. We’re also located within walking distance to numerous dining and entertainment facilities. 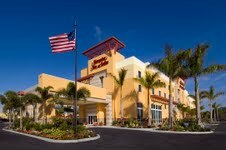 This multi-award winning, smoke-free Comfort Suites University Park/Sarasota hotel was beautifully renovated in 2009. We feature 132 spacious suites; each offers a microwave, mini-fridge, coffee maker, a sleeper sofa, and a flat panel cable TV. To obtain the WFAmT preferential rate of $79 per night (originally $105), please ask for the 'West Florida Golf Tour Corporate Rate' when booking. We’re located off Interstate 75, near Gulf of Mexico beaches and within walking distance to numerous dining and entertainment facilities. 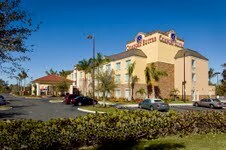 The Hampton Inn & Suites Sarasota/University Park hotel opened in December 2009. The four-story hotel, located in University Town Center, features 102 beautifully appointed rooms and a select number of studio suites. Standard furnishings include the clean and fresh Hampton bed™, a coffee maker, iron with ironing board, and a 37” flat screen LCD high definition television with premium cable selections. Studio suites feature 42” HDTV’s. To obtain the WFAmT preferential rate of $89 per night (originally $119), please ask for the 'West Florida Golf Tour Corporate Rate' when booking. The Regency Inn and Suites hotel is 14 well appointed rooms with large fridges & microwaves, 20 suites with one bedroom living room, with a full size kitchen all newly renovated in 2010 & Heated pool. Walking distance to nearby area attractions, Ringling College of Art & Design, New College of Florida, USF Sarasota Manatee, Ringling Museum, Airport & 5 minutes drive to Lido Beaches & Saint Armand Circle, siesta beach & downtown & Sarasota memorial Hospital. The Regency Inn and Suites hotel in Sarasota Florida is located near the Ringling College of Art and Design (you can leave your car in our parking and walk to the Ringling College of Art and Design), near the Ringling Museum, Selby Gardens, Florida's finest beaches, including Siesta Key, near the Van Wezel and Sarasota Bradenton International Airport, Asolo Theater, Sarasota Kennel Club, near Ed Smith Stadium and in close proximity of fine restaurants, exceptional shopping and 26 golf courses. 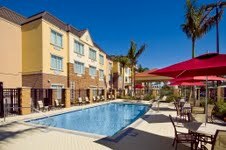 The Regency Inn and Suites Sarasota Florida Hotel has a heated swimming pool and sundeck, spacious studio apartments and efficiencies, clean, fresh rooms and staff that is friendly & helpful. To obtain the WFAmT preferential rate of $39.95 per night single or $49.95 per night double, please use 'WFAmT' discount code when booking.